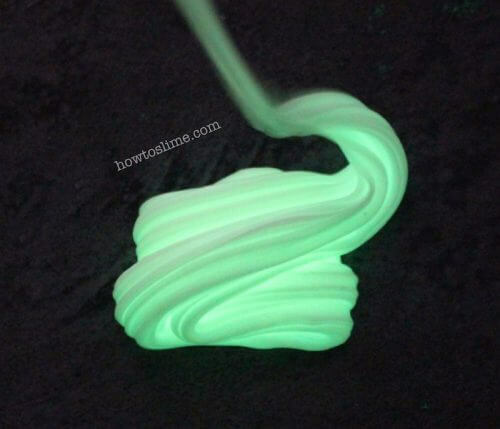 This slime is amazing! 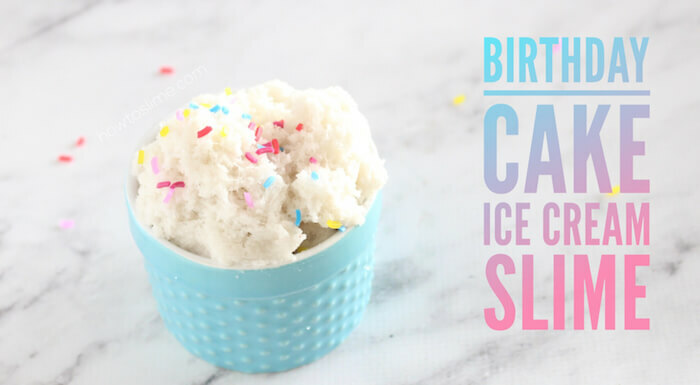 Birthday Cake Ice Cream Cloud Slime is a beautiful type of slime made with instant snow. Cloud slime is my favorite type of slime. It’s fluffy, soft and has a great texture to play with. It really feels like playing with a cloud! 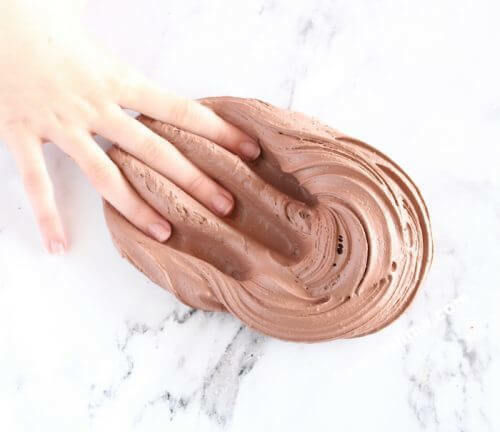 This slime is not sticky at all and after a few days is still the same, so the texture doesn’t change like it happens with other types of slime. To make the basic cloud slime you can follow my recipe here: How to make Cloud Slime, or just follow the steps bellow. What gives this slime an ice cream texture is the instant snow, that’s why you need to use cloud slime to make ice cream slime that looks real. 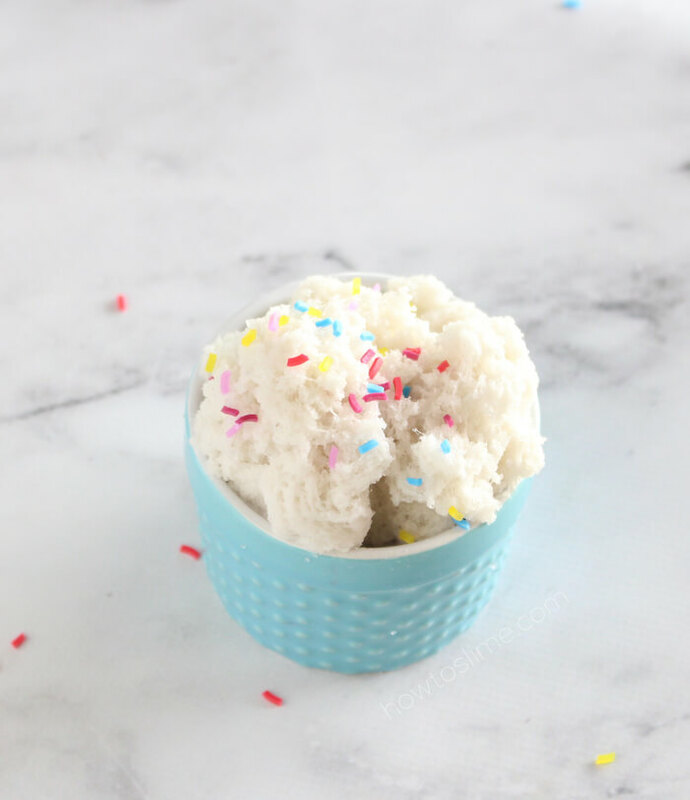 Try adding different food colorings for making other ice cream flavors. 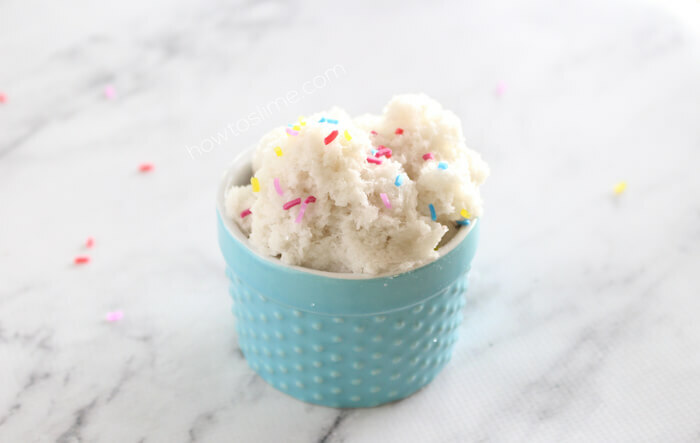 To make birthday cake ice cream cloud slime you can add some vanilla extract so your slime has the color and the smell of a real vanilla birthday ice cream. 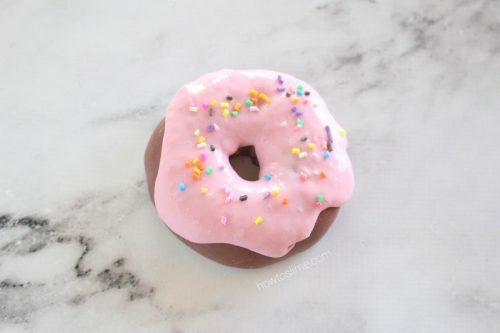 And don’t forget to add some sprinkles! First you need to make the borax mixture by adding 1 teaspoon of borax powder to 1 cup of warm water (hot tap water will work). Stir well to combine. Set aside. Pour the glue into a bowl and add some of the borax mixture. Stir with a spoon or wooden stick. Keep adding and mixing until it begins to form. To make cloud slime you can over activate your slime so it becomes stiff. This is because when adding the instant snow the slime will become sticky again. Be patient! 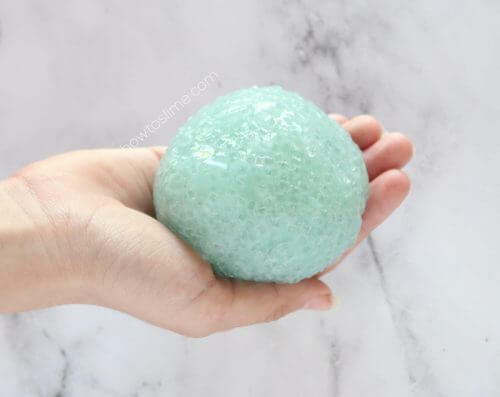 Cloud slime is not easy to make. Add a little of vanilla extract and stir. To make the fake snow put some of the instant snow powder into a bowl and add some water. Don’t add too much water, just enough for the snow to form. 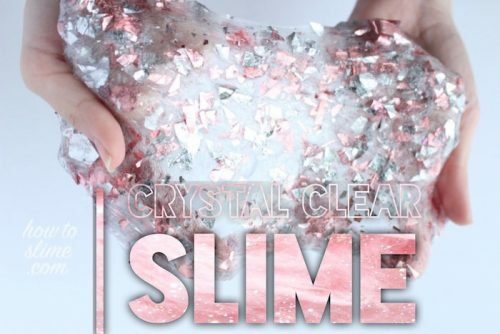 If the fake snow is very wet it can ruin your slime. 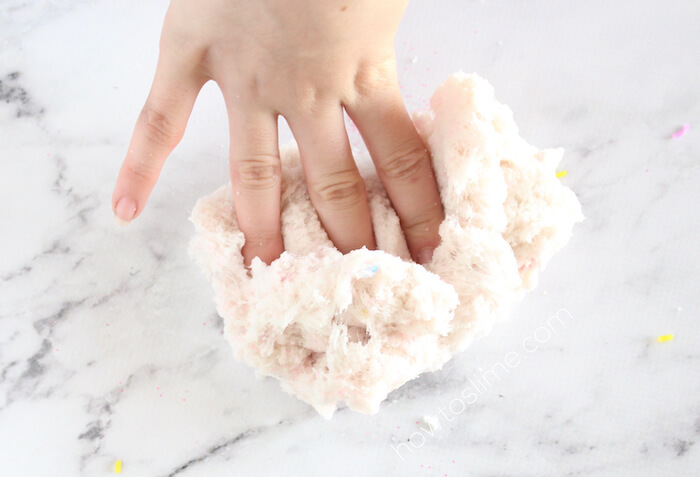 Add the already form Instant Snow to the slimes and knead with your hands. If it becomes too sticky you can add more activator. Keep adding snow and activator as needed until your slime becomes the consistency that you want for a cloud slime. 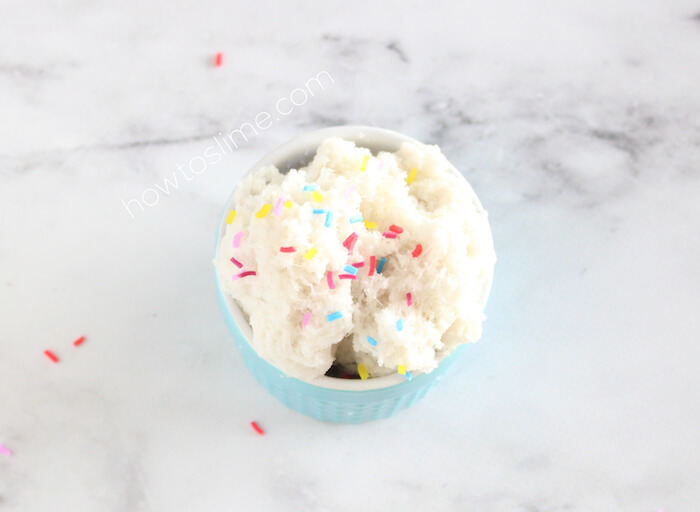 Now you can add some sprinkles on top of your birthday cake ice cream and play with it! Keep it in an airtight container when not playing with it.